When they want to buy furniture Columbus, Ohio shoppers know that the best place to go for high quality home furnishings is Amish Originals Furniture Co. in Westerville, just a short drive away. While there are other furniture stores in the area, none carry the quality, handcrafted furniture pieces that are lovingly made by members of more than 70 area Amish families. This is furniture that is going to stand the test of time, and stand up to just about anything that a busy family can throw at it. Just take a look at our website to see some of the many beautiful items we carry, and don’t forget to check out our clearance page where you can get some pretty great deals on many of the items you need. Your home is a huge investment, and the furniture you choose should also be an investment. It should last for generations, and like your home it needs to be made from the best materials so that it will look as great in 20 years as it did the day you bought it. Amish made furniture is a great investment because of its extremely high quality, and the best Amish furniture is available at Amish Originals. If you are looking to buy furniture, Columbus, Ohio shoppers will tell you that the best quality and prices can be found here, and that you are making a great investment when you buy Amish furniture. 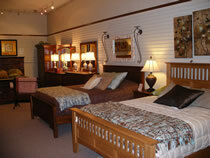 You can go online to our website when you want to buy furniture Columbus, Ohio customers have loved for 20 years. This will give you the opportunity to take a look at the various products we offer and find out which woods the furniture you want is available in. Our Amish builders use only the finest hardwoods when they craft their furniture, and we are bringing these items directly to you. Remember to check out our clearance page for some great deals on beautiful furniture items. When you want a furniture store, Columbus, Ohio shoppers will tell you that the best place to go is Amish Originals Furniture Co. If you are looking for furniture that is going to be well made and that will last for generations, you will want to see the amazing items that we carry, all hand-crafted by the Amish.